“Freedom is Control”; it’s a sentence that jumps straight out of the opening screen and sets the stage for the tone of Black The Fall from the very beginning. Orwellian in nature, it’s a clear throwback to 1984’s mantra of “War is peace, freedom is slavery, ignorance is strength” and makes it obvious to the player just what to expect from the game, assuming, like particularly everyone in the world, they studied the infamous book in school. That said, “Freedom is Control” is a bit more unusual when you remember that it’s a tagline for a game. Can Black, the titular character of Black the Fall, ever be free if we the player control him? 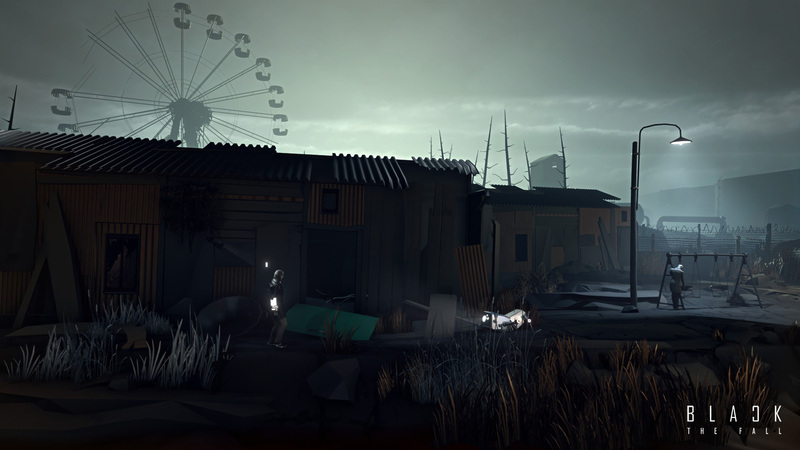 It’s a theme that’s previously been touched upon in last year’s Playdead title, Inside. In fact, a lot of themes seem inspired by Playdead’s uncomfortable tales of escape, albeit with a much more overt imagery. 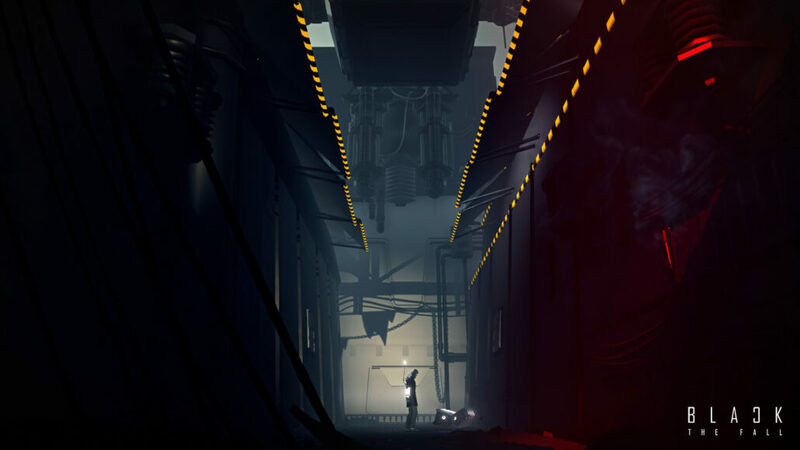 Like Limbo and Inside, Black the Fall is an atmospheric 2D puzzle platformer, with dark environments that encompass a bleak and industrial landscape. Black the Fall chooses to set its game in more recognizable tropes, however, pinning the world with backdrops of soviet-styled-communism. Across every wall, you’ll see the unmistakable hammer and sickle with the rest of the art design falling into place. Suddenly the machinery, the queues, and the floppy hats all take on that particular, almost comically Eastern European accent. But in doing that the factories, pipes, and machines also lose some of their ominous mystery with the world more based in reality. Inside was so uncomfortable in its depiction of the industrial facilities because their origins and purpose are so beyond our comprehension. Although death comes quick to the idealistic Black, the world lacks the intangible danger that I feel the developers were hoping to capture. The backgrounds of the world appear threatening, with automated turrets and grotesque men aiming to harm you, but they don’t quite draw upon that same creeping dread. Death itself is just disappearing in a cloud of dark smoke before restarting a moment earlier. There’s no real pain, or fear, or risk in failing. Not to draw upon Inside too much, but the unpleasant, almost mundanely brutal deaths of the small boy make you desperate to keep him alive, while the same cannot, unfortunately, be said for Black the Fall. Beyond its slightly under-realised ambiance, Black The Fall forces the players through environments both claustrophobic and expansive, trapped on a narrow 2D plane, something about the player’s detachment from the rest of the world feels a little familiar; but in this case, the obvious inspiration isn’t the answer. Instead, the sensation stems from Abe’s Oddysee. A pinnacle of the 2D puzzle platformer in the 90s, the game broke ground with its inclusive environments that reacted to the player on more than the single plane the player inhabited. While most games since have attempted to emulate the same design, Black The Fall has captured it wholesale. 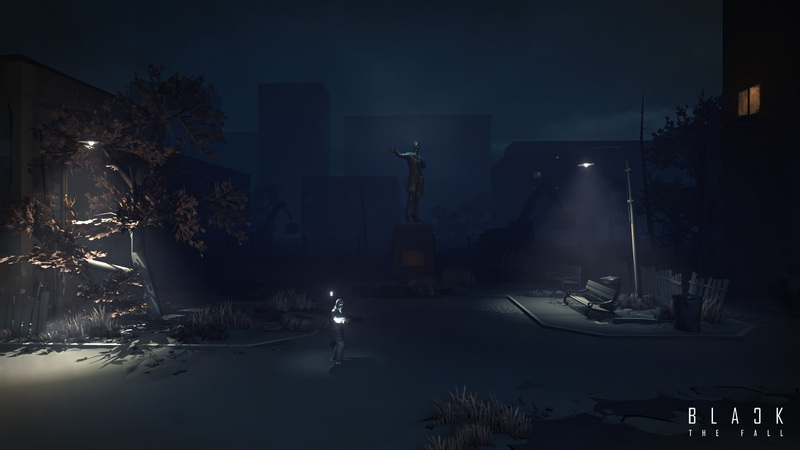 Other games have players, enemies and objects moving between the different layers of the game, giving the feeling of depth, Black The Fall, and Abe never quite smooth out these differing dimensions. What exists on one plane doesn’t seem to exhibit the power to move to another. It makes the world feel like it is built of dozens of parallel lines which never quite connect. Enemies see you and mark you for death from across the impassable void, but never seem to travel themselves. But along your sole, isolated thread of the world, you’ll still encounter and overcome puzzles, even if the rest of the world feels so far detached. Ranging from sort-of-stealth sections to physics and movement puzzles, you probably won’t be surprised by anything the game throws out you. Some moments feel inspired, like when you used a motorized and tracking turret to destroy an obstacle in your path, but a lot feel familiar enough that you might wonder if these puzzles are a legal requirement of the genre. And somewhere between the points, occasional puzzles feel ambitious but unintuitive, forcing you to stumble across the dark, flat environment trying to grasp at anything until the solution somewhat accidentally presents itself. And when you stumble around, Black The Fall could have given the player more tactile control over the titular character. While, as far as I’m concerned, most games now have the player more actively interact with the world with actions such as tilting the thumbstick as necessary to lift trapdoors or otherwise move objects, this has an animated short for which you must simply hold a button. I can’t honestly say why the lack of this had such a big impact on my immersion with the game, but I found a lot of the interaction dissatisfying with my minimal input. From the puzzles to the world around them, Black The Fall is trying to fit into a very particular genre. And while to say that it failed to do so would be a disservice, the game is enjoyable and the story is at least interesting, to say that it can compete with the best titles in the genre would be a lie. Creating a game that attempts to emulate another, especially in such a small niche is a risky endeavor, and with the indie darling success of Limbo and Inside, challenging them on their terms I believe was a mistake. I hope Black The Fall does well, it is not in of itself poor, but like the dozen shooter copies that ride the wake of Call of Duty, Battlefield and Halo, Black The Fall cannot be recommended, nor found bewitching, to anyone who played the games it wishes to match. Black The Fall is an atmospheric 2D puzzle platformer, and although it creates an interesting tone, the game itself can't quite hold up against the titans of the genre.